On December 16, 2017 water protectors gathered in Rayne, Louisiana, on land located along the proposed route of the Bayou Bridge Pipeline. Cherri Foytlin, director of Bold Louisiana, recently bought the land for Louisiana Rise, an advocacy group she founded that focuses on renewable energy and a just transition. The location would be the final leg of Energy Transfer Partner’s Dakota Access Pipeline carrying oil fracked in North Dakota to Louisiana. The proposed pipeline would transport crude oil obtained via hydraulic fracturing (fracking) from St. Charles to St. James, Louisiana, and cross the Atchafalaya Basin, a national heritage area that is Turtle Island’s largest natural swamp. It is now February 4, 2019 and the camp remains in resistance. The landbase is traditional The Atakapa-Ishak (uh-TAK-uh-paw – ee-SHAK) territory. The Atakapa-Ishak are a Southwest Louisiana/Southeast Texas tribe of ancient Indians who lived in the Gulf of Mexico’s northwestern crescent who called themselves Ishak. The name means The People. This Matriarch Monday we honor the matriarchs defending the ancestral land of the Atakapa Ishak. This call to action and report back from BrownGemme from the frontlines pays homage to the Indigenous matriarchs who pray our future into existence. From the waters that connect us to the ancestral swamps lands of Atakapa Ishak, Houma, Chitimacha, Chata Territory (southern Louisiana). Not only do we now have the blessing of the Atakapa-Ishak Nation to carry on protecting the water on this land...but we also have a growing list of neighbors who are ready to assist in the fight to stop the pipeline. Back in December I arrived in the ancestral lands of the Atakapa Ishak peoples, to support the anti-pipeline resistance camp, L’eau Est La Vie located in so-called Indian Bayou, Louisiana. Since then I have made attempts to leave but with each time the land has made calls to stay and help support the efforts being made here. When I got to camp some folks, had just got back from making a trip to the southwest looking for land to purchase. I thought why is this camp, whose main focus is to protect the Atchafalaya Basin from pipelines, coming to the mountains of the desert? I later learned Cherri Foytlin was one of the folks from camp who made the journey to the southwest. Placing her and the rest of the crew close to her ancestral homelands. When asking Cherri who her ancestors were she replied “Dine(navajo), black, and latino”. She also expressed “I would have liked to have known them when they were alive, I know how they died, I want to know how they lived”. 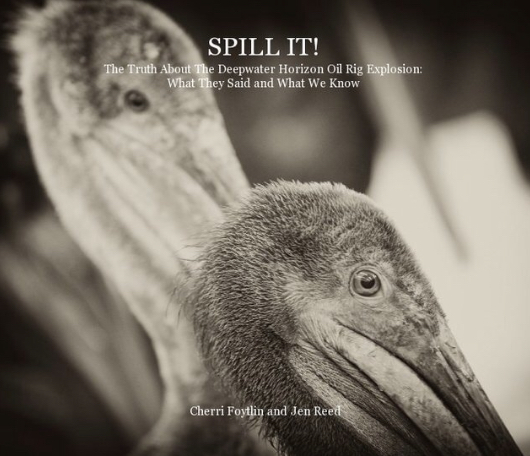 Cherri has been in this fight since the BP oil spill, she even wrote co-authored a book about it with Jen Reed entitled Spill It!. Those valuable lessons and teachings of extreme violence on the land has left her with an understanding of how oil and gas works in the so-called state of Louisiana. 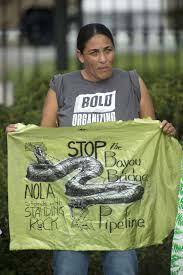 Making her equipped to help lead the fight against the No Bayou Bridge Pipeline. Cherri has exemplified self-determination by organizing and persevering to take down the empires of oil and gas industries in Atchafalaya Basin or anywhere for that matter. 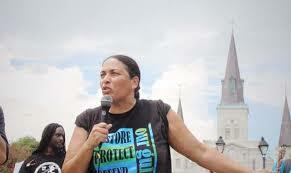 This has earned her the title “Public Enemy Number 1” here in so-called Louisiana. Cherri is also part of the Indigenous Women’s Council of L’eau Est La Vie whose purpose is to guide and lead the camp. These women have held ceremony numerous times in and around camp. Fighting with their prayers and practicing land based direct action developed over years of experience of being the matriarchs of their families and communities. She is also the mother to her 6 amazing kids, who are already making big moves in the fight against climate change. I believe this is the biggest strength all of these women of the council have in common. They all have many years of experience when it comes to protecting their families and will do all that it takes to protect all that carries them, that includes the land. This fight to protect and defend the lands that carry us is not over. Here are some ways you can support the L’eau Est La Vie anti-pipeline resistance camp. Go to their website http://nobbp.org/ and apply to join the camp.